The political battles in Bohol, highlighted by a fiercely contested gubernatorial race, are expected to reach fever pitch after the 45-day official campaign period for local candidates started on Friday. Camps of first-time gubernatorial bets Deputy Speaker Arthur Yap and former Cabinet secretary Leoncio Evasco, Jr. were at contrasting paces for their respective opening salvos—Yap’s Pundok Padayon Bol-anon hit the ground running with four sorties on day one, while Evasco’s Pundok Tinuod Bol-anon “relaxed” for his birthday. According to Provincial Administrator Alfonso Damalerio II who is aligned with Padayon Bol-anon, the Yap-led coalition took its campaign caravan to Balilihan, Duero, Jagna and Tagbilaran City on Friday. Padayon Bol-anon’s opening sortie started with a Mass in Balilihan and ended with a proclamation rally at the Bohol Tropics Resort in Tagbilaran City which was joined by Mayor Baba Yap’s Pundok Panaghiusa coalition. “Ugma, duna tay kalihukan sa lungsod sa Dauis ug sa adlaw na Dominggo sa second district,” said Damalerio during an interview over station dyRD’s Tagbilaran by Night (TBN) on Friday. Tinuod Bol-anon meanwhile celebrated the birthday of Evasco, who turned 75, in Panglao on Friday, said Boy Pernia of the gubernatorial bet’s media bureau. “So ang atong activities sa Pundok Tinuod Bol-anon medyo relax sa lang, we spend the time enjoying, storya-storya, kaon-kaon. Wa me mi-pressure sa among kaugalingon na todo-todo tungod kay karon ang first day sa campaign, wala, we celebrated it karong adlawa with gusto,” added Pernia in a separate interview during the same edition of TBN. Pernia noted however that Tinuod Bol-anon’s re-electionist second district Rep. Aris Aumentado, after Evasco’s celebration, joined sorties of municipal coalitions in his district on day one of their campaign trail. On Saturday, the Nationalist People’s Coalition (NPC) locally led by Aumentado is set to hold a proclamation rally in Tagbilaran City at 4 p.m. at the City Square “beside Shakey’s facing Mercury [drugstore],” said Pernia. Pernia clarified that the political rally is not of team Tinuod Bol-anon but of the NPC, which Evasco and several of the local coalition’s candidates are part of. “Dili tanan candidates sa atong pundok ang naa diha kay NPC proclamation man…Tungod kay ang atong provincial head sa NPC kay si Cong. Aris man,” said Pernia. Earlier in March, a “fake” Pulse Asia survey result was spread by still unknown sources. The poll result which showed Evasco leading over Yap with 56 and 15 percent voters’ preference ratings, respectively, was disowned by Pulse Asia Research, Inc. president Ronald Holmes through a statement issued on March 19. The bogus survey result was spread a day after the Holy Name University’s Center for Research and Publications (CRP) released its Bohol Poll 2019 on March 15, 2019 which showed Yap leading with 53 percent voters’ preference over Evasco’s 35 percent. However, the HNU Bohol Poll 2019 was also marred by controversy after its organizers admitted that they inadvertently left out questions on voter preference for the posts of vice governor and second district representative. HNU-CRP director Ma. Paz Espiritu apologized for the lapse but she, along with the HNU leadership, stood by the “integrity” of the survey results. In February, Evasco accused the Chatto administration of being behind the alleged proliferation of illegal drugs in Bohol particularly through Damalerio. 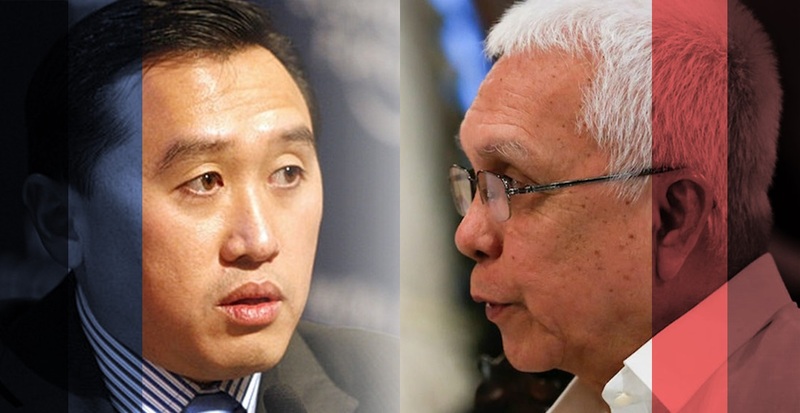 This triggered a word war between Evasco and Damalerio, but the verbal tussle died down when President Duterte released a partial list of alleged narco-politicians from across the nation but no official from Bohol was included. Governor Edgar Chatto who is running for congressman in the first district is supporting Yap’s candidacy through Padayon Bol-anon. In Buenavista, mayoral candidate Atty. Rico Cabarrubias was allegedly ambushed by a gunman on January 14 resulting in the death of his driver. The incident, which left Cabarrubias unscathed, however was not officially deemed an election-related attack as police also eyed his work as a lawyer as possible motive behind the ambush which was carried out in broad daylight. With the political battles expected to intensify amid the start of the official campaign period, it remains to be seen whether candidates would still resort to mudslinging and violence or actually focus on highlighting their platforms to win the votes of the electorate.